Our aims and objectives are to provide a caring family atmosphere and the facilities necessary to make life as easy, enjoyable and comfortable as is possible for people who are no longer capable of leading a fully independent life. We try to provide a comfortable and happy home and hope that residents enjoy living here. We do everything possible to respect the rights of older people in our home, particularly by observing the values of privacy, dignity, independence, choice, civil rights and fulfilment which can be threatened by living in a communal environment and having to cope with disabilities. We recognise the individuality of each resident and their personal dignity is respected in every way. Encouragement is given to self-reliance and independence as far as a resident is able so that they may enjoy the same rights as they always have in their own home environment, bearing in mind, of course, the need also to respect the rights and interests of fellow residents with whom they share the home. Residents are encouraged to choose their own lifestyle to enable them to enjoy as fulfilling a life as they desire and of which they are capable. To this end, we aim to gain knowledge of a resident’s likes and dislikes as quickly as possible so that they can be respected. We know that providing good care is a co-operative process so we consult residents and, where appropriate, their relatives, friends and representatives at all times and as fully as possible. Should you choose to join us at Southfield, the first month is set aside to enable you to confirm whether our house is where you’d like to make your home. We’ll also use this period to get to know you and your family; identify your wants and preferred ways of living and to assess and discuss your personal care and support requirements to enable us to create an individual plan of care with which everyone involved is happy. 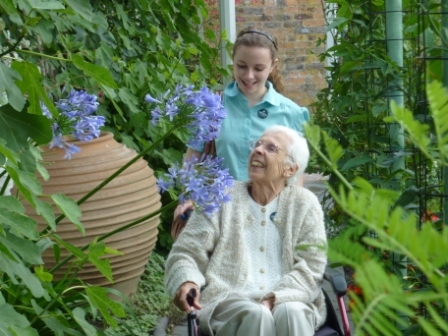 Southfield is celebrating 34 years as a dedicated residential care home. The house was originally transformed from a family home and developed to care for the elderly in 1985 by then owners David and Marita Blackwell. The couple converted and extended the original 90 year old property in 1992 into a purpose-built care home to tend to the needs of 15 residents.